Dear Friends, Milling flaxseeds is like opening a treasure chest. Flaxseeds contain a wealth of nutrients, but as whole seeds most of these nutritional treasures are locked away. Milling the seeds into meal gives your body access to the amazing nourishment stored within. In order to maintain the integrity of the wholesome nutrients in the flaxseed oil, the seeds must be milled with great care. That is why we don't make compromises our cut corners. Our proprietary flax milling machinery keeps the meal cool, which preserves the freshness of those precious oils. It's not the fastest way, but it's the right way, and it is absolutely worth the time and effort. Flax has been prized since ancient times. Its Latin name, Linum usitatissimum, means "most useful". Hippocrates, the Father of Medicine, prescribed flax to patients with intestinal issues. King Charlemagne was so convinced of its benefits that he passed laws requiring his subjects to consume flaxseeds. Today, the nutritional data backs up the wisdom of the ancients. There is general agreement among experts of all sorts that folks should consume more omega-3 fatty acids to promote good health. 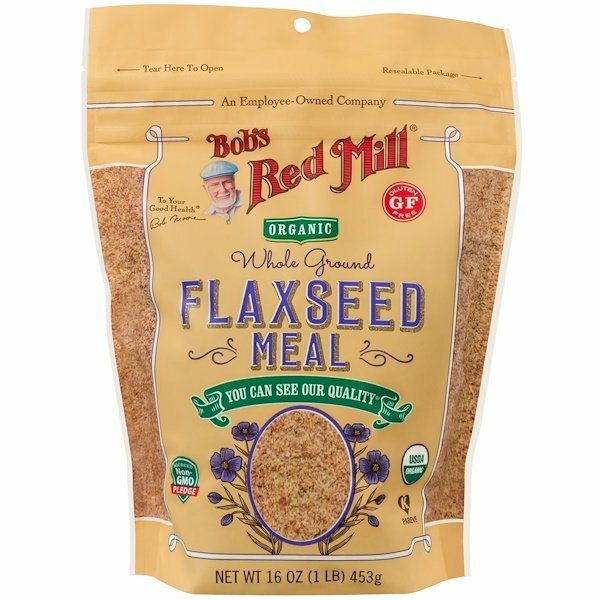 Two tablespoon of Bob's Red Mill Flaxseed Meal offers 2430 mg of omega-3s. What's more, each serving provides 3 grams of each fiber and of protein. It's no wonder flaxseeds make a wonderful addition to your daily diet. 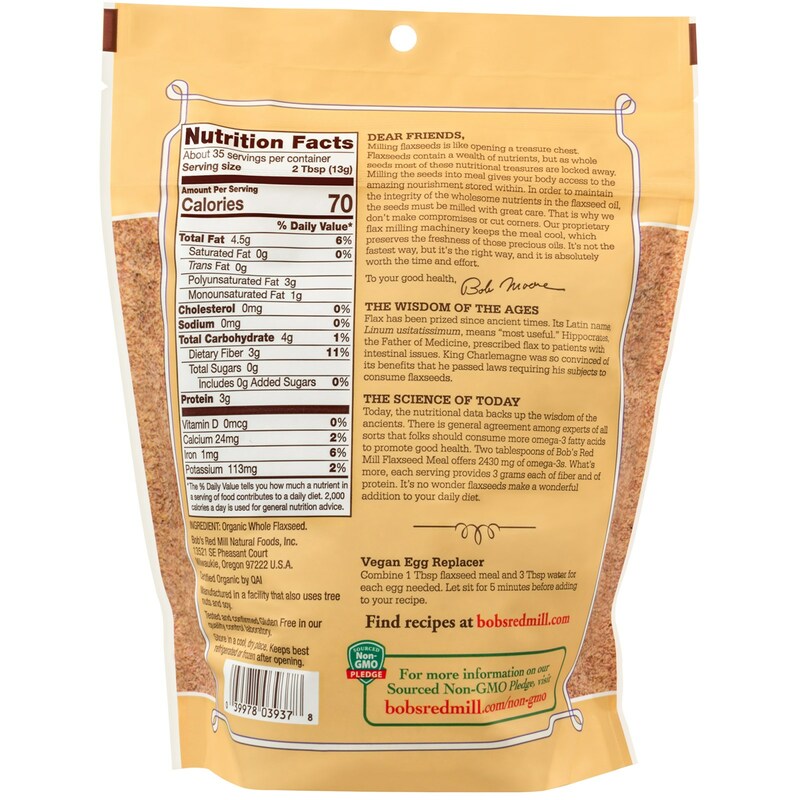 Combine 1 Tbsp flaxseed meal and 3 Tbsp water for each egg needed. Let sit for 5 minutes before adding to your recipe.